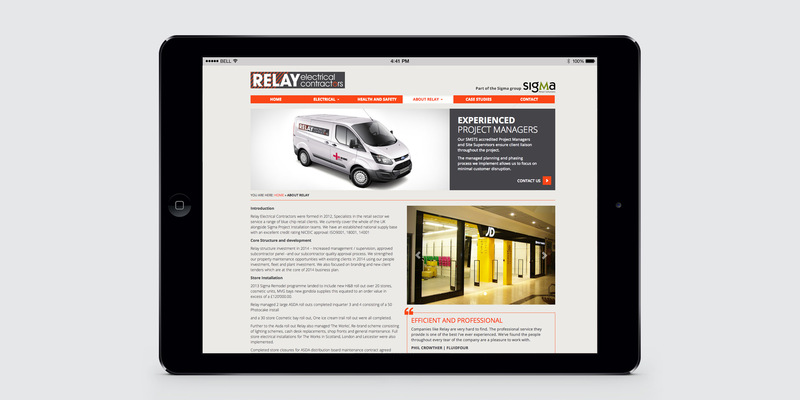 A responsive site showcasing one of the Norths top electrical contractors. Relay Electrical boasts a fantastic client base including ASDA, hmv, JD Sports to name a few. The management at Relay (which is part of the Sigma Group), asked us to design their new website on the strength of previous sites that we had produced, as they felt our dynamic style would fit their brief perfectly.